It is fun to recognize and follow my favorite teams at the race. It is like a treasure hunt. 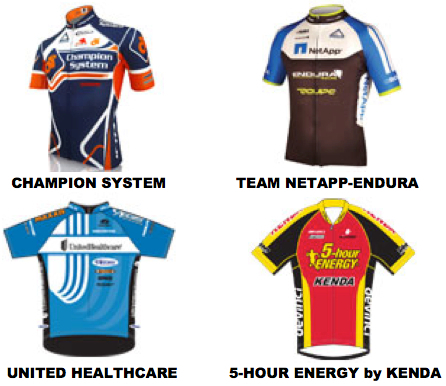 Each team will have 8 riders running around in these team jerseys. Only 4 very special riders will be discovered in the classification jerseys every day. 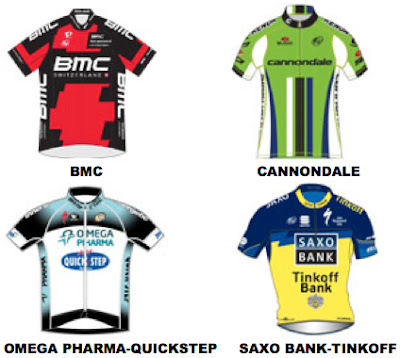 Are you interested in learning what road bikes the pro teams will be riding in 2013? 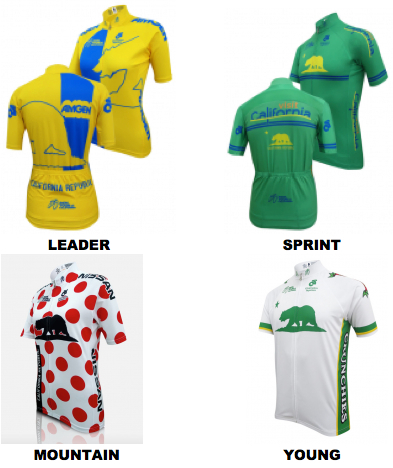 How about the new pro team jerseys for 2013? 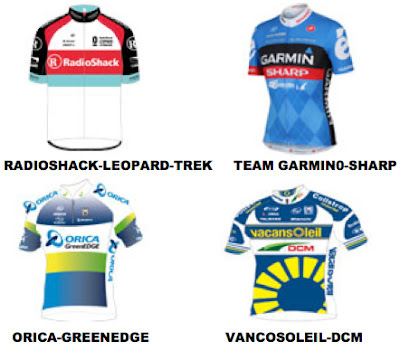 Or who sponsors all these teams and makes these races possible, paying rider salaries and funds to transport the teams from country to country with bikes, equipment and staff in tow. There is a lot of equipment necessary to make a bike team possible, here are the summaries of the 2013 bikes, jerseys, sponsors, and equipment for the 2013 ProTeams. 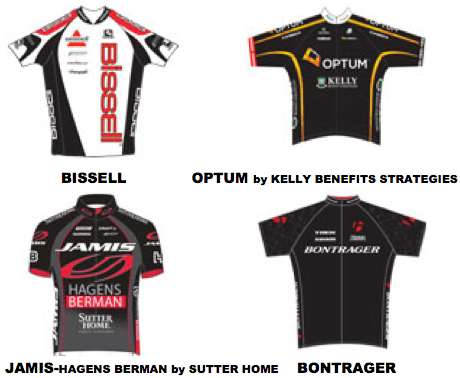 Bikes of The Peloton :: 2013 ProTeam Rides, By Cycling Tips (*Why repeat what someone else has done marvelously by capturing pictures of every road bike in the professional cycling ProTeams for 2013). 2013 Riders and teams Database, By CyclingNews.com (Lists of riders, managers, Directeurs sportifs, neo pros, and which riders left the teams in 2012).